2-ply Brite Art Index, 11″x17″ printed with a 10″x15″ non-photo blue border/ bagged. 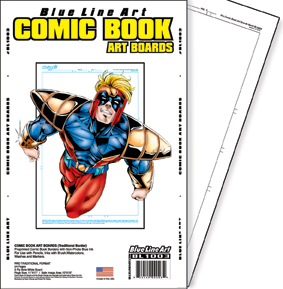 Blue Line Art Comic Book Boards serve as the traditional economic stand-by for the comic book industry. 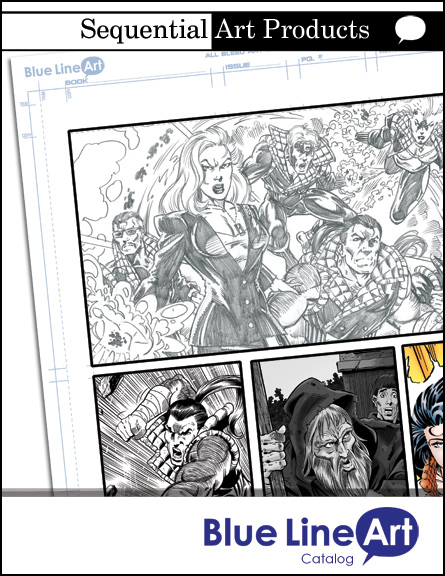 Comic Book Boards are specifically laid out with an image area for standard comic book design. These boards, like other BLP boards, offer areas for notations like issue number, page number and date. Great for use with pencil or ink (brush), marker, felt tip pens and wash. (For acrylics or heavier inking we recommend Pro or a Premiere series instead.) 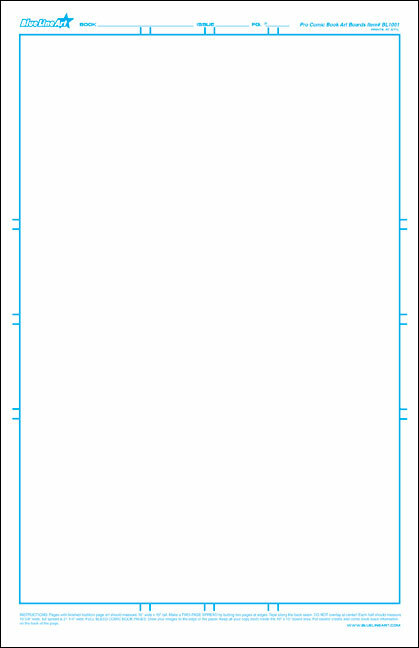 The single border makes the traditional great for using two to create a two-page spread.